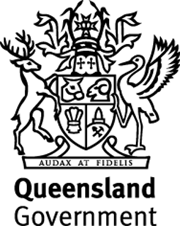 The materials presented on this website are distributed by the State of Queensland acting through the Department of Child Safety, Youth and Women as an information source only and is subject to change without notice. Although every effort has been made to ensure the accuracy, currency and reliability of information, users are responsible for making their own assessment of the information within the site, and for verifying relevant representations, statements and information. The Department of Child Safety, Youth and Women disclaims all responsibility and all liability (including without limitation, liability in negligence) for all expenses, losses, damages and costs you might incur as a result of the information being inaccurate or incomplete in any way, and for any reason. Department of Child Safety, Youth and Women makes no warranties that the information on this web site is free of computer viruses or other contamination. Users are responsible for ensuring information from this web site or any linked web site is free of viruses or other contamination. Links to third party sites are inserted for convenience. Department of Child Safety, Youth and Women makes no representation or warranty regarding the content of these sites, and no responsibility is taken for the consequences of viewing and relying on this content. Third Party sites should not be seen as endorsed by the Department of Child Safety, Youth and Women.